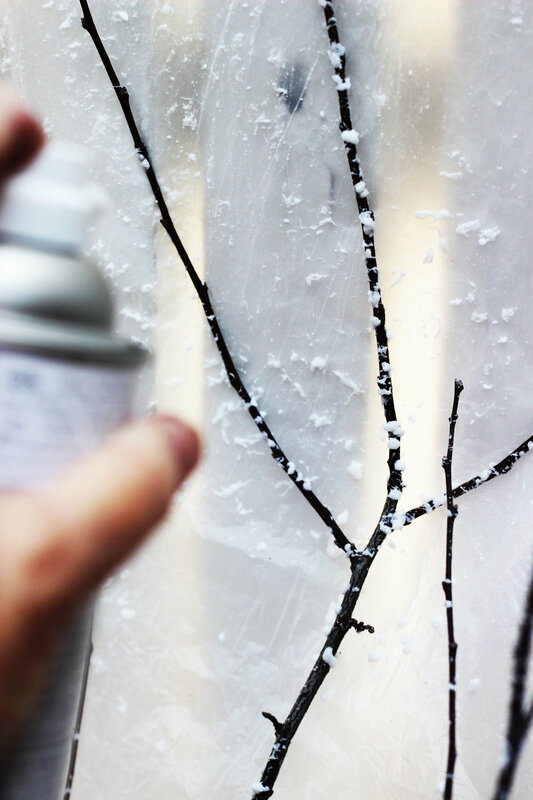 How to Make Snowy Branches and Icy Branches. 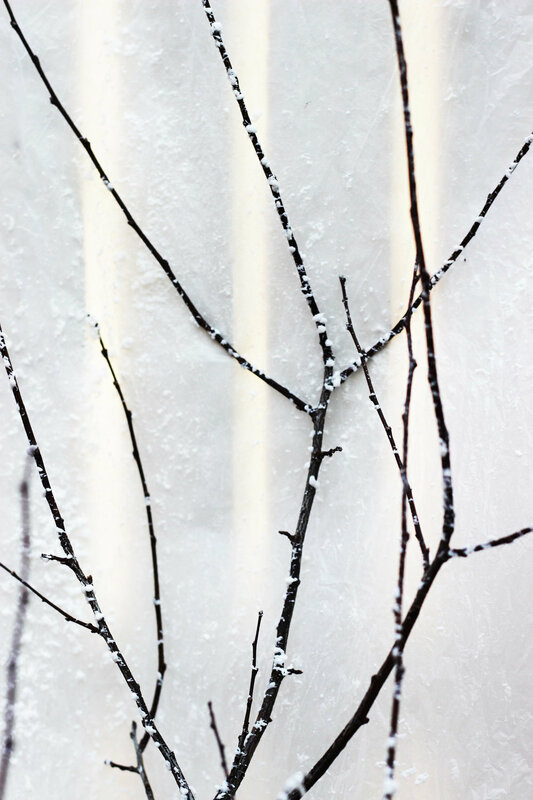 This tutorial will show you how to make two kinds of winter branches. 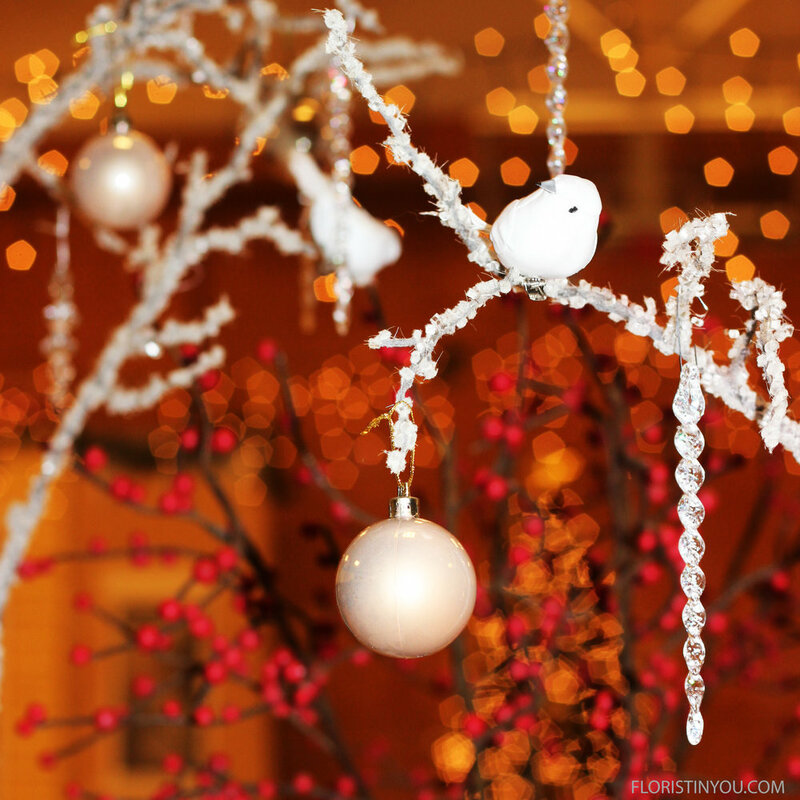 Snowy branches are great for setting that winter mood. They have a little softer look than icy branches, but icy branches can be very dramatic. 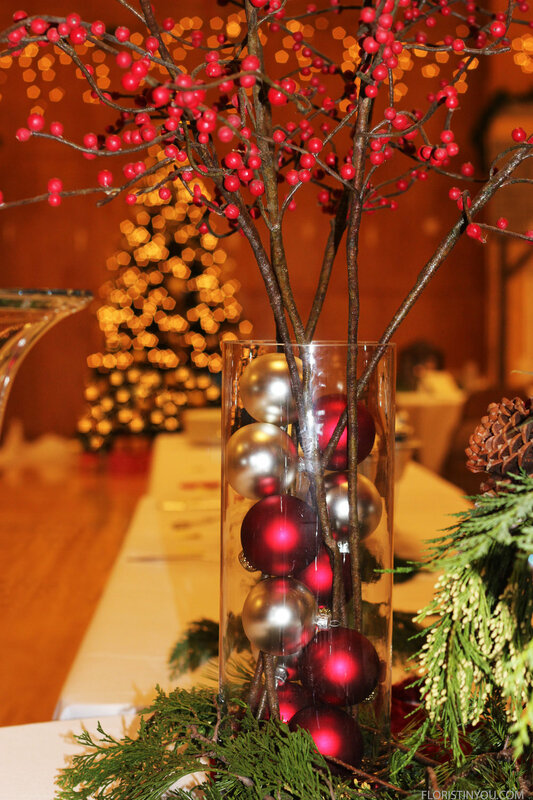 The branches can stand alone in a fluted glass vase or can be showcased in a cylinder filled with Christmas balls. 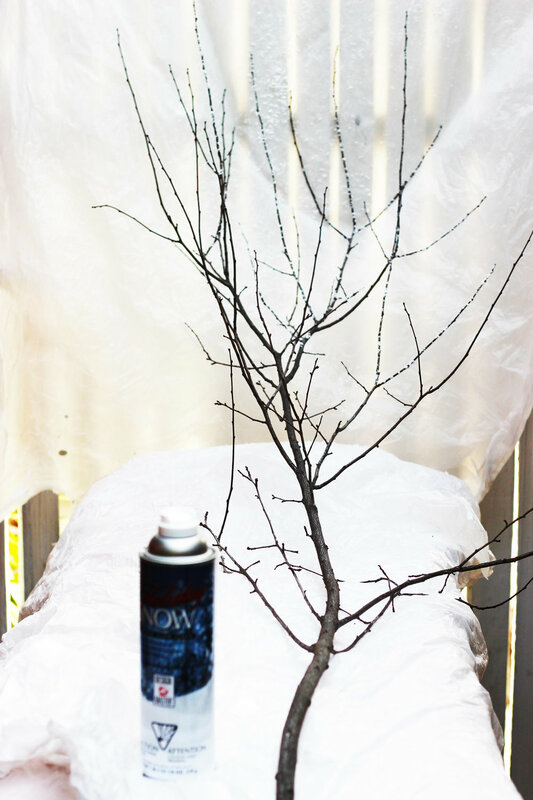 To make snowy branches use Design Master Holiday Snow. Put down paint tarps to protect surfaces. 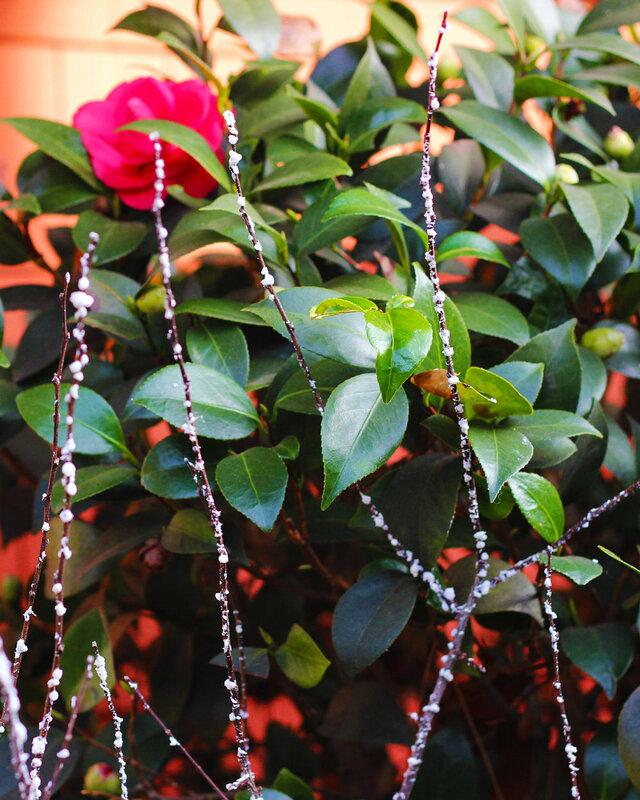 After you spray the 'snow' on let it dry and your snowy branches are ready to use in an arrangement. 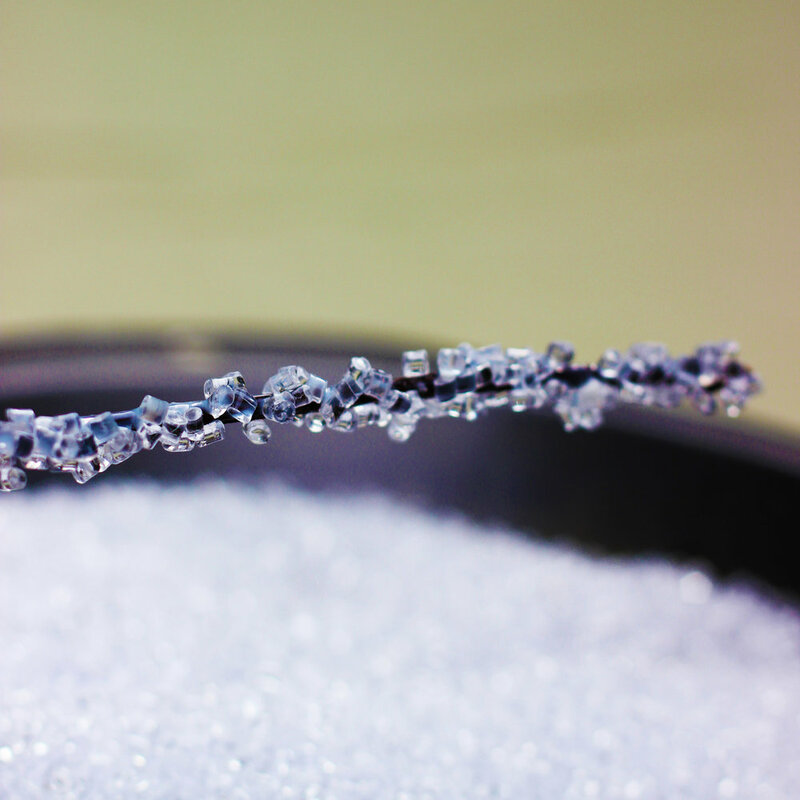 To make icy branches you will use decorative filler that looks like crystals. 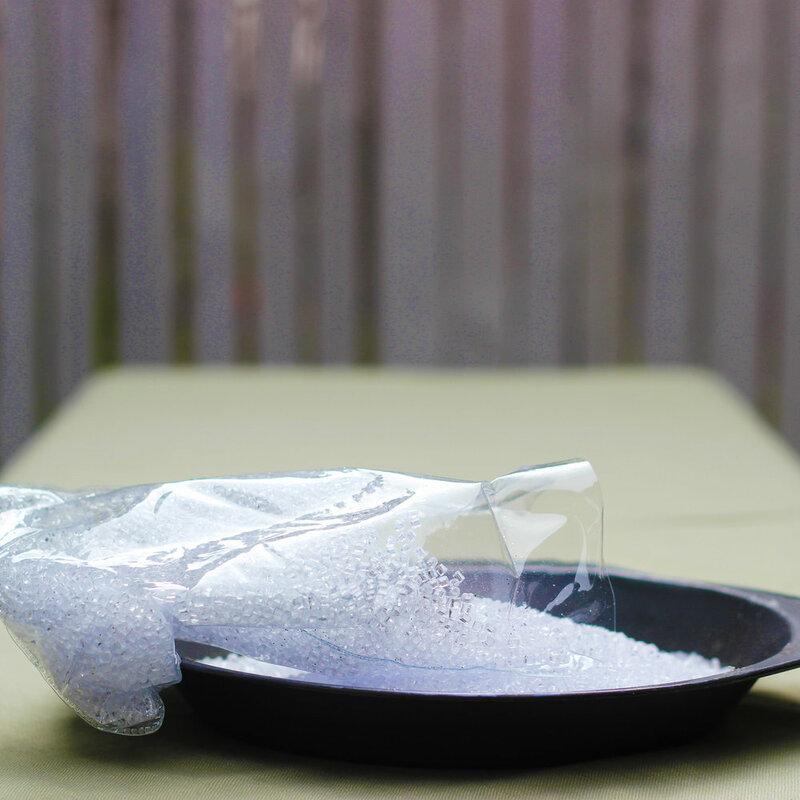 Put some ice crystals in a pie pan. 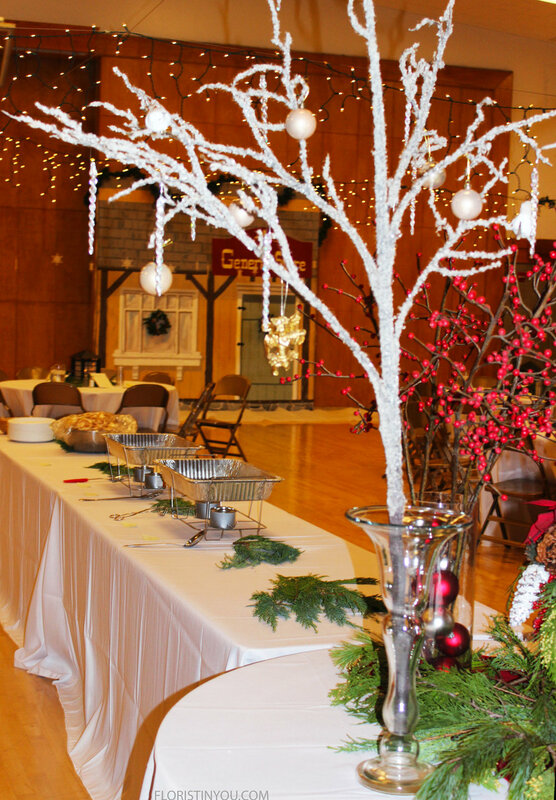 Put Elmer's glue or white glue on the branches. 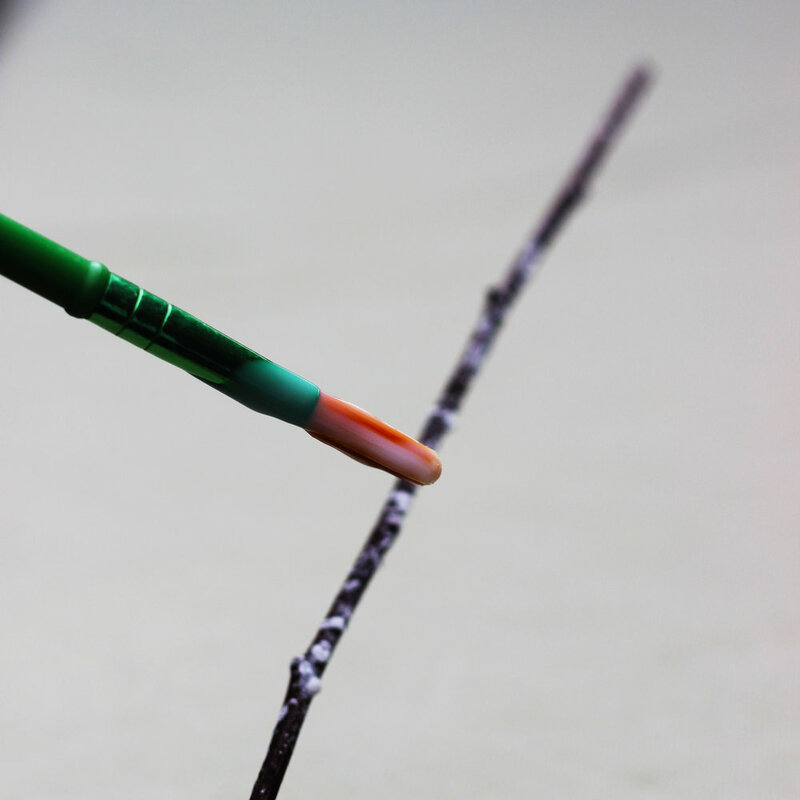 Apply glue on branch with a brush. Dip branch into pie pan and let dry and you are done. You can stand them in a fluted glass like this. Or you can put them in a cylinder with Christmas balls. 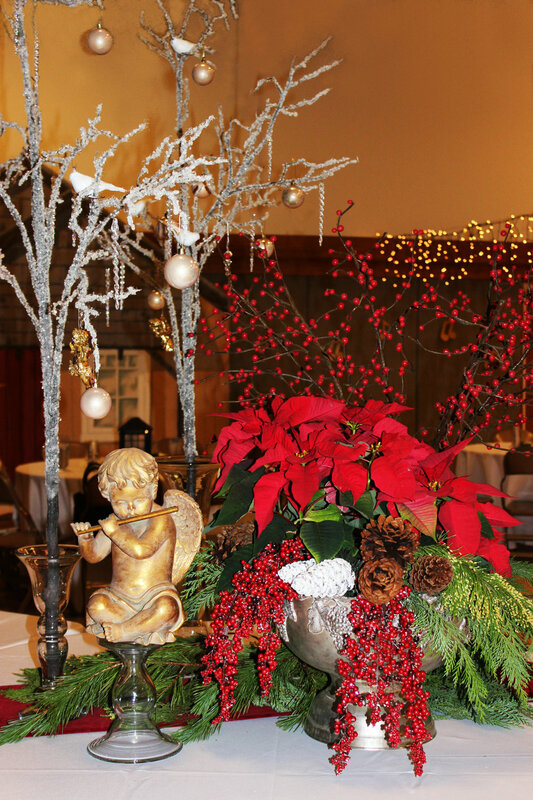 You can hand gilded angels, icicles, small pearl Christmas balls from them. These can be part of a grouping on a table. Merry Christmas.